Often our patients present with symptomatic joints or muscles needing a treatment to help them become pain free and restore them to full function. Other patients are not symptomatic, but have signs of occlusal disease that we need to resolve before we proceed with restorative care. Both of these clinical scenarios can be the ideal time to utilize an anterior bite plane appliance. In this webinar we will discuss the science behind how anterior bite planes work, when they are your best choice clinically, and quick and easy fabrication techniques. 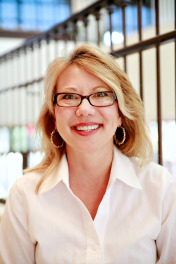 Dr. Lee Ann Brady is a privately practicing dentist and nationally recognized educator and writer. Her practice experience has been rich and varied. She has worked in a variety of practice models from small fee-for-service offices to large insurance-dependent practices, as an associate and as a practice owner. From 2005 to 2008 Dr. Brady held the position of resident faculty and Clinical Director for The Pankey Institute. In 2008 she moved to Scottsdale to join Frank Spear in the formation of Spear Education and the expansion of his curriculum. She served as Exec VP of Clinical Education until June 2011. As Director of Education/President of Lee Ann Brady LLC, she launched her website www.leeannbrady.com offering clinical and practice content daily, and innovative online and live education programs.